Centar Municipality has no records of the Telecom building, a striking eight-store building in the center of Skopje. Built next to the Stone Bridge and located on Macedonia square, this building is shrouded in mystery. Apart from the parties, no one knows how much the land was purchased for, how much tax has been paid for this building and what utility fees have been paid for it. Minister of Transport and Communications, Vlado Misajloski does not even know which building is Telecom. “In the archives of the municipality Centar there is no archive box for the given building, that is no materials, no files, for the Urbanism services of Centar Municipality could answer your questions”, says the official response from the Centar Municipality to the request that SCOOP-Macedonia submitted under the Law on Free Access to Public Information. 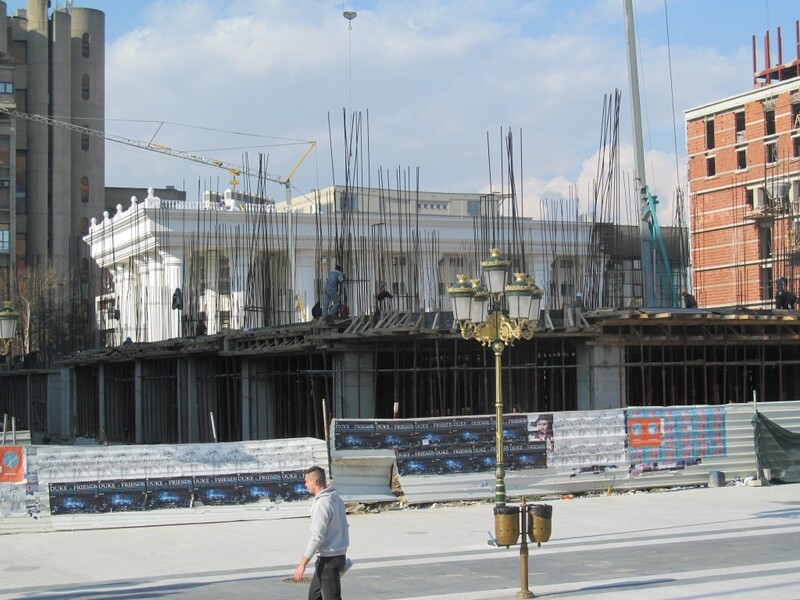 According to those who are familiar with local laws and whom SCOOP consulted, Centar Municipality must have some information about a facility in order to issue a decision for construction. They say that before issuing a decision for construction a commission should go to the building site and see what the area of the building is. Experts are convinced that for this facility property tax should be determined, and in order to do it, the area of the building must be known. 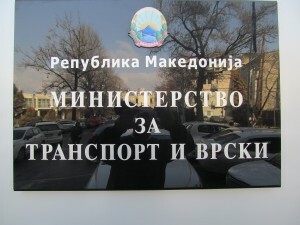 At the shareholders’ general meeting on 22 March 2011 Macedonian Telecom adopted a decision on giving (selling) 3 buildings of the current administration building of the company. 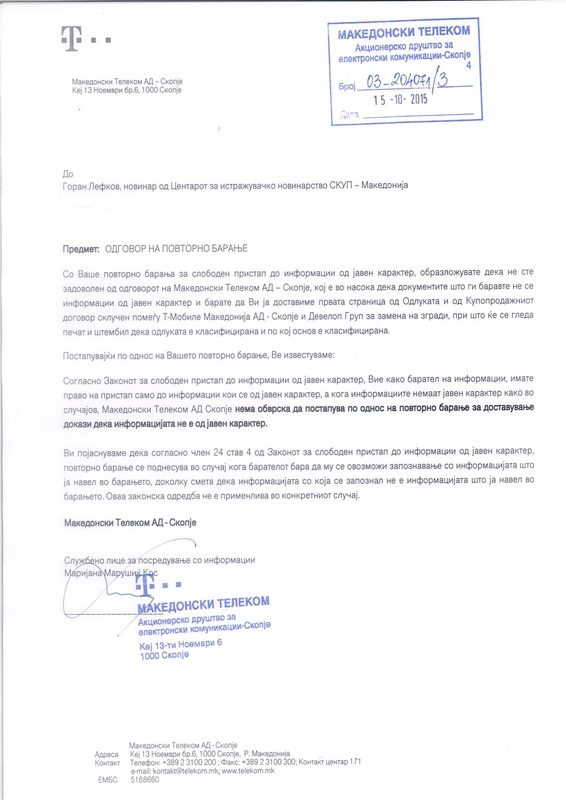 Former owner of the Telecom building was Develop Group, a company that in the official documents is to be in ownership of Aleksandar Ivanovski from Skopje. His name appears in several other companies, such as “Bet Kom”, “Noniet”, “Italy Fashion” and “Imka Engineering”. 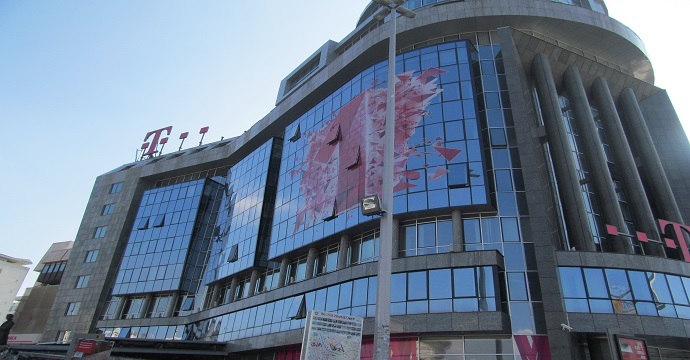 Telekom gave the present building of the Commercial Bank, the current building of Ohrid Bank and the building of Almako Bank and surcharged 16.6 million Euros (in 6 annual installments) for the current headquarters of Telecom. 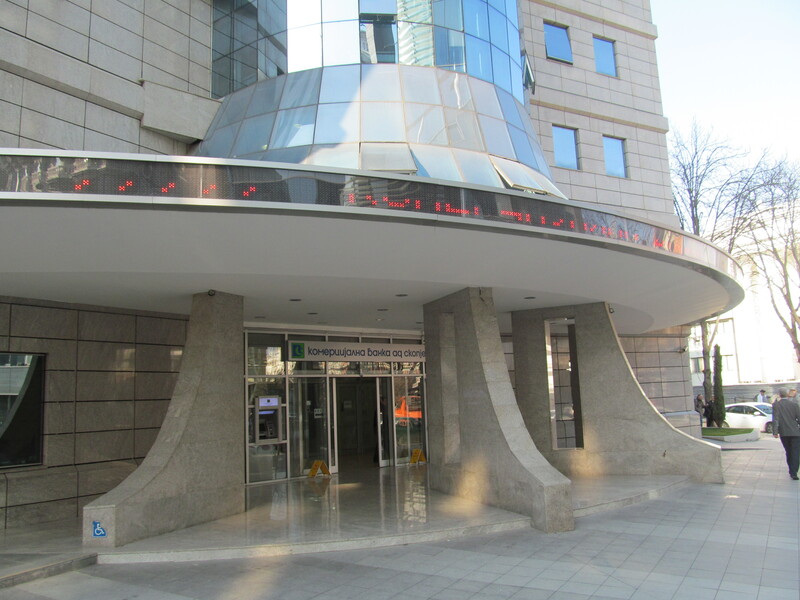 The total estimated value of the current building of Telecom is 37.3 million Euros. The total area of this building is 5,500 square meters. Assuming that the construction value is about 500 Euros per square meter, it turns out that the construction value of the lot is about 3 million Euros. Two years later the company Develop Group sold one building to Commercial bank for 9.8 million Euros. Two years after that it sold the building to Ohrid Bank for double the price – it had taken it over for 3.7 million and sold it for 5.7 million Euros. From this transaction Develop Group charged a total of around 33 million Euros, plus the Almako building remained in their ownership. From the transaction with Telecom, where the state is the second shareholder with a stake of 35%, it turns out that Develop Group earned about 30 million Euros. 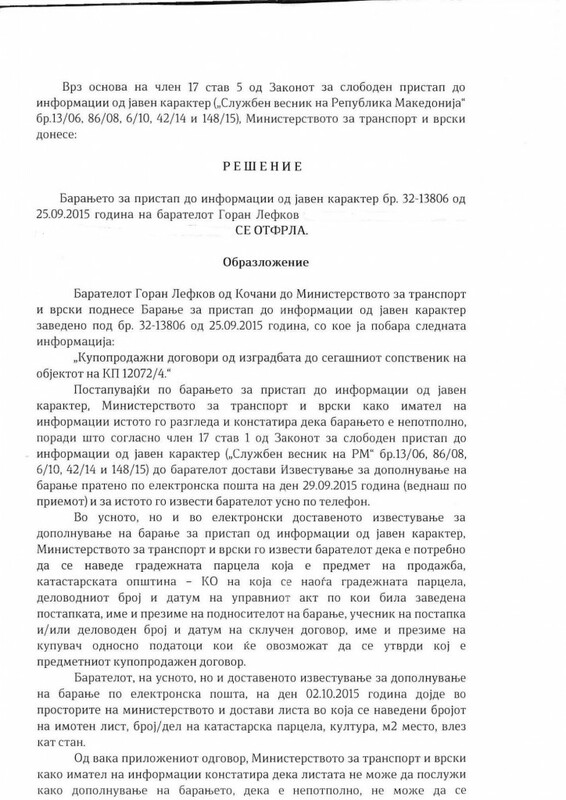 “Who are the participants and the bidding itself for the sale of 12072/4 cadastral municipality Centar? Which utilities are paid for KP 12072/4 (Telecom Building) and which company paid them? Purchase contracts from construction to the current owner of the building KP 12072/4”. SCOOP sent these requirements to the Ministry of Transport and Communications, using the legal right to free access to public information. But instead of answers from the Ministry, they asked for additional data that only a state institution can possess. 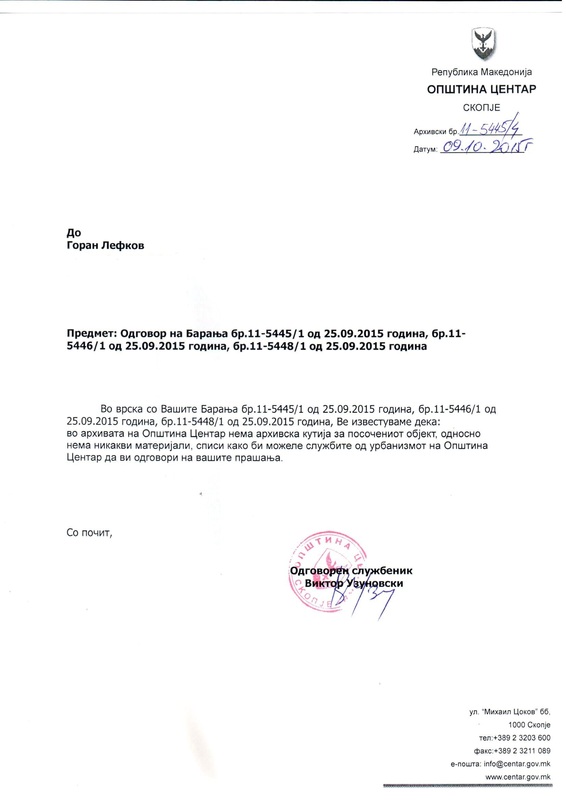 “The applicant is required to state the construction lot which is a subject of sale, cadastral municipality, reference number and date of the administrative act by which the procedure was taken, name of the applicant, participant in the procedure or reference number and date of contract, name of the buyer”, says the reply of the Ministry of Transport and Communications. We also asked Telecom for documents. They informed us that the agreement they have signed with Develop Group is classified information. We submitted a new request to Telecom to scan the first page of the contract for the replacement of buildings, with the stamp that the information is classified, but so far we have not received any. WHO STANDS BEHIND DEVELOP GROUP? As the portal Nova TV writes : “The company Develop Group, close to Orce Kamcev, Sasho Mijalkov’s best man, former head of State Security and Counterintelligence. Mijalkov is cousin of the former Macedonian Prime Minister and current leader of VMRO-DPMNE Nikola Gruevski”. 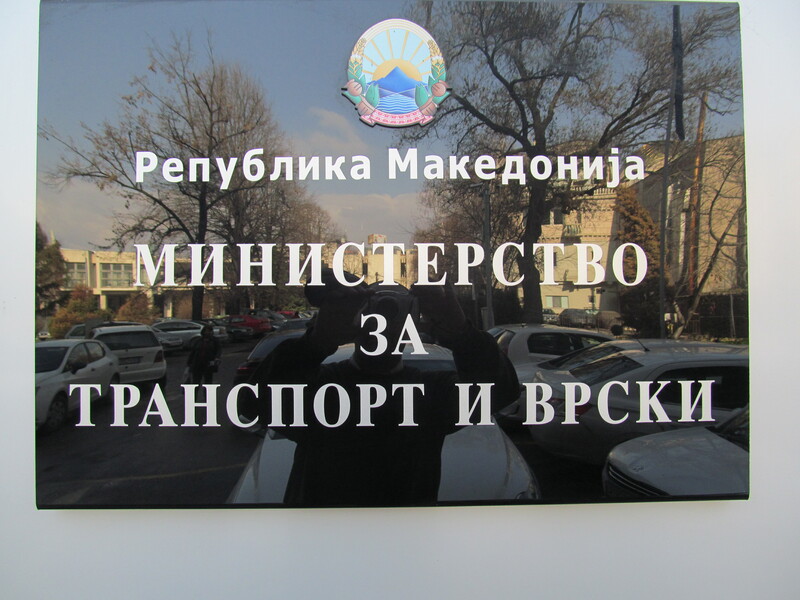 In the wiretapped conversations published by the opposition in the project “The Truth about Macedonia”, the names of these officials were often mentioned. These conversations raised many doubts about crime. There were obscure games around Macedonian Telecom even in 2004, 2005 and 2006 through the company Eksiko when according to the former intelligence officer Slobodan Bogoevski, money was transferred to postpone telecommunication services market liberalization. For these transfers a lawsuit against Macedonian officials has also been brought in a court in New York.